Deep Economy The Wealth of Communities and the Durable Future | Free eBooks Download - EBOOKEE! Posted on 2018-09-05, by nokia241186. 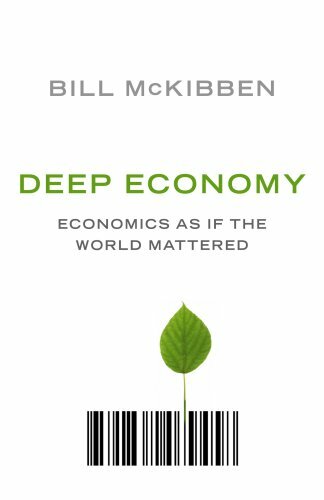 Bill McKibben, "Deep Economy: The Wealth of Communities and the Durable Future"
"Masterfully crafted, deeply thoughtful and mind-expanding. "-Los Angeles TimesIn this powerful and provocative manifesto, Bill McKibben offers the biggest challenge in a generation to the prevailing view of our economy. Deep Economy makes the compelling case for moving beyond "growth" as the paramount economic ideal and pursuing prosperity in a more local direction, with regions producing more of their own food, generating more of their own energy, and even creating more of their own culture and entertainment. Our purchases need not be at odds with the things we truly value, McKibben argues, and the more we nurture the essential humanity of our economy, the more we will recapture our own. No comments for "Deep Economy The Wealth of Communities and the Durable Future".